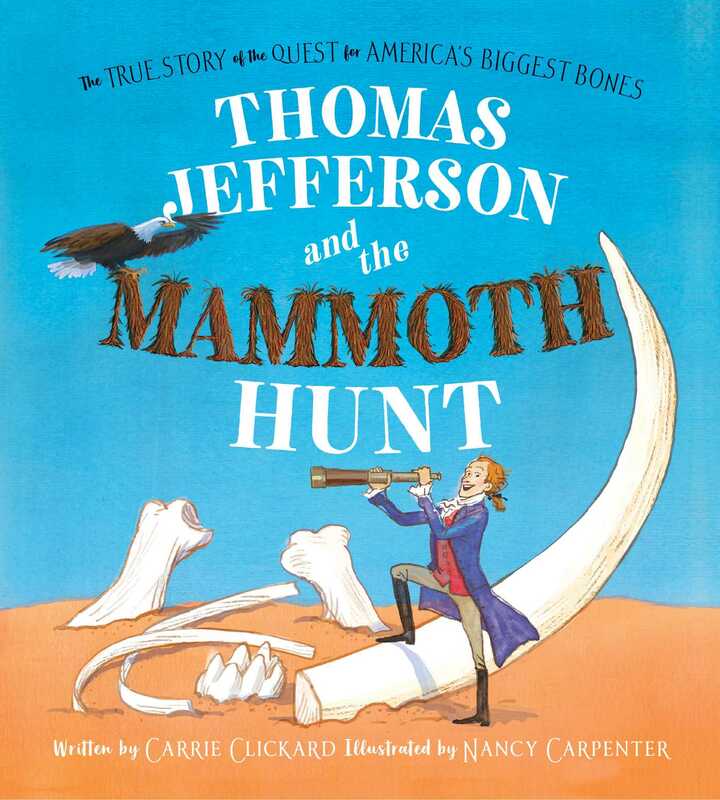 In this rhyming, hilarious romp about a little-known facet of American history, Thomas Jefferson tries to disprove a French theory that those in the New World are puny and wussy by going in search of mammoth bones. In the New World called America big changes were a’brewing. Independence was declared with bold hurrahs and ballyhooing! The French feel threatened by America’s new freedom and confidence, as embodied by Count Buffon who claims that the “New World was a chilly, swampy place, filled with puny, scrawny creatures, every species, breed, and race.” Thomas Jefferson won’t stand his young country being insulted, so he sets out to prove Count Buffon wrong. He sends people across the country in search of an animal or animal bones to prove that creatures in the United States are big and strong and worthy. Hilarious, energetic, and a delight to read aloud, this book shines a light on this little-known slice of American history. Included in the back matter are an author’s note, who’s who and what’s what from American history, bibliography, and further reading. Clickard employs rhyming nonfiction to recount Thomas Jefferson’s search for mammoth bones in the newly formed United States. . . . Carpenter’s digitally rendered illustrations are full of playful soupçons—Jefferson measures mouse holes and moose antlers in one series of vignettes—complementing the jaunty verse. Clickard narrates the tale in rhymed verse whose gleefulness is highly enjoyable. . . . Carpenter’s digital artwork matches the breathless take on oneupmanship with appropriately histrionic scenes of founding fathers.